Jurgen Klopp has spoken about Alberto Moreno’s controversial interview, in which the Spaniard complained about his role on Liverpool’s bench. This season, and the majority of last, Andy Robertson has started every important game, with Moreno very much the Scot’s backup – and rightly so. As a result, Moreno showed discontent via an interview with Spanish outlet Cadena Ser, translated by Sky Sports. 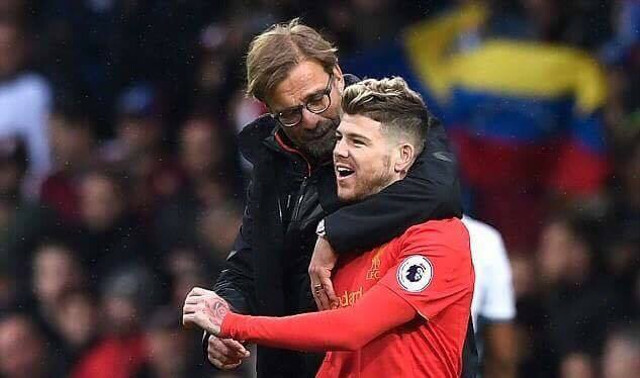 “The situation is normal for a lot of players but simply, I did not like the way he (Jurgen Klopp) has treated me, you can say that,” Moreno said. Liverpool’s manager, who has 16 wins and three draws in the Premier League this term, was fairly relaxed in his response, and almost complimentary of Moreno. “Matt [the club’s press officer] told me about it! I’m still not prepared to say something to be honest,” he said, reported in the Standard. “How I deal with things like that is usually: my door is not always literally open, but it’s always open if somebody wants to talk. As long as they don’t talk to me, it doesn’t really exist! Moreno’s comments were disappointing, but Klopp’s reaction suggests it isn’t something we need to worry about. The left-back’s contract expires in the summer and he will not be offered an extension by Liverpool – who will either promote a youth player or bring in a new player to compete with Robbo. It’s a tricky one, as there’s no point trying to sign an elite left-back with 24-year-old Robertson proving he’s already one of Europe’s best.